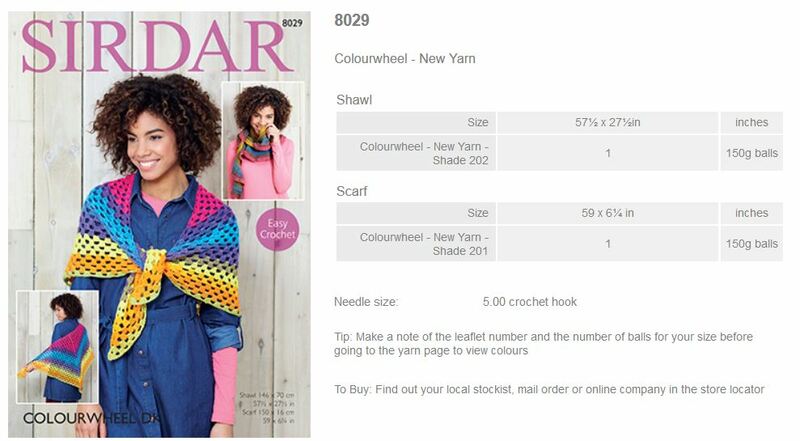 Yarn Type A gloriously vibrant colour effect double knitting yarn. 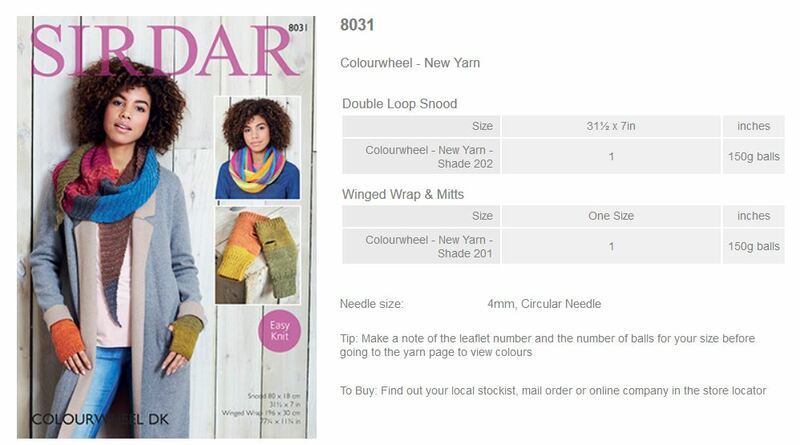 This incredible yarn comes in a range of 9 wonderfully colourful shades. 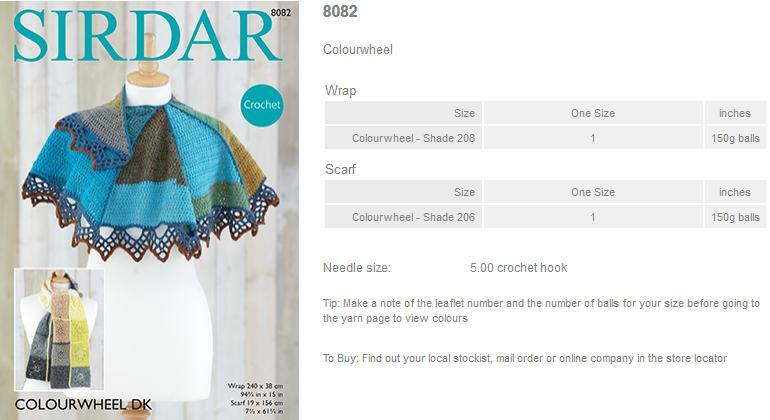 Colourwheel is a cake yarn so the true effect of each of the shades can be seen from the ball! 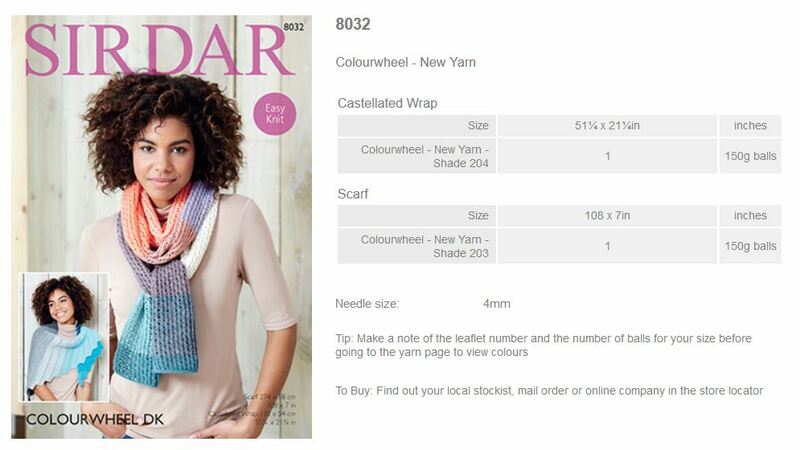 What’s more, as well as there been a collection of patterns with one ball accessory designs there is also a free pattern for a wrap on the ball band! 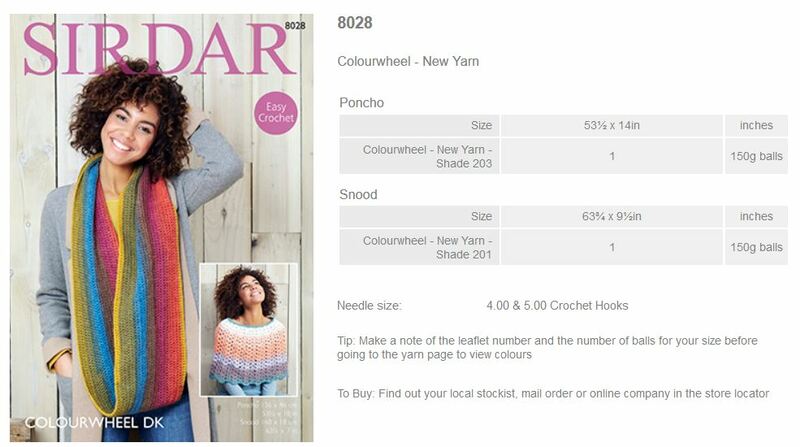 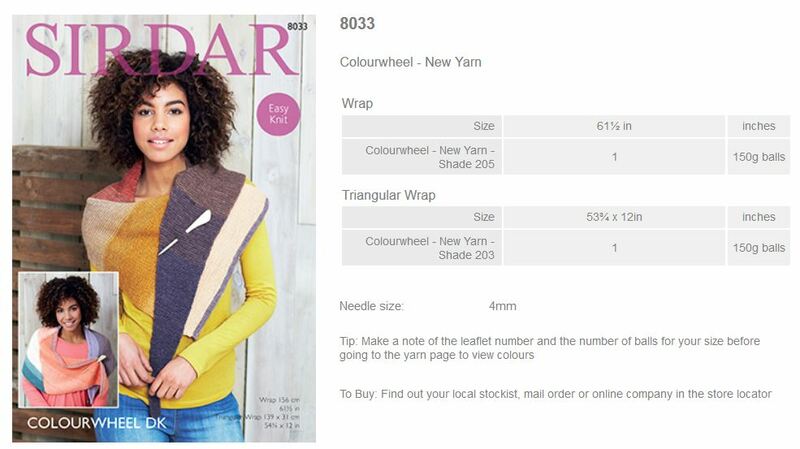 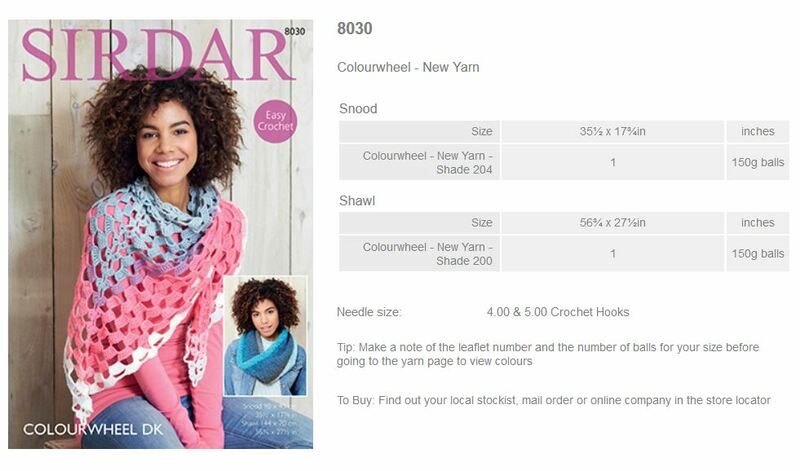 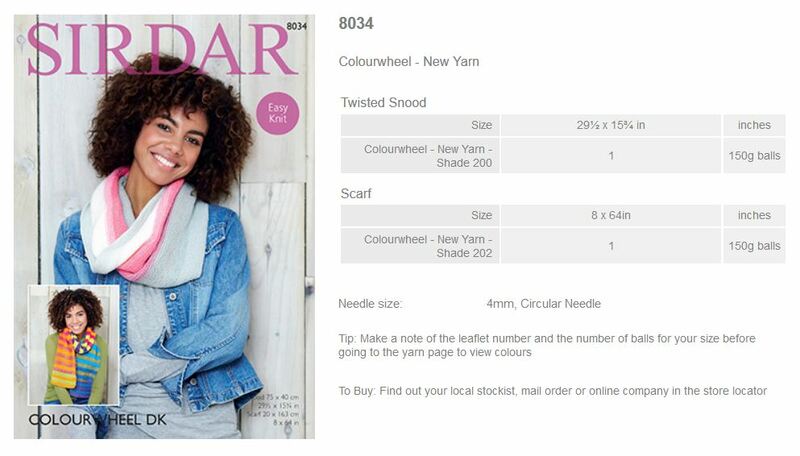 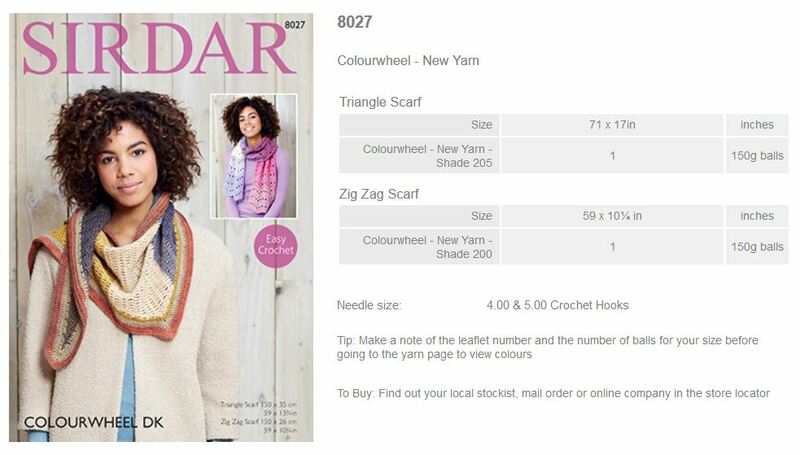 Colourwheel comes in a gorgeous acrylic wool blend and is a standard double knitting yarn so will knit to all Sirdar double knitting patterns. 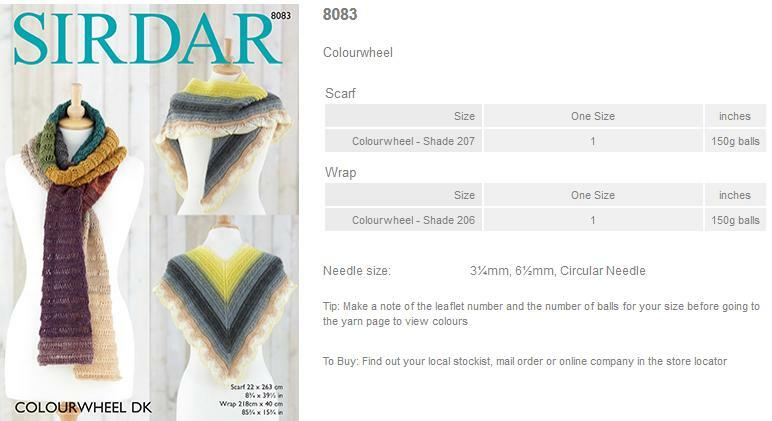 80% Acrylic, 20% Wool.